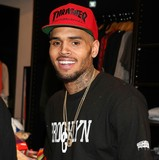 Today, 2nd June, Chris Brown was released from jail. The story is on Music-News. Loyal” featuring Lil Wayne & Tyga available now!